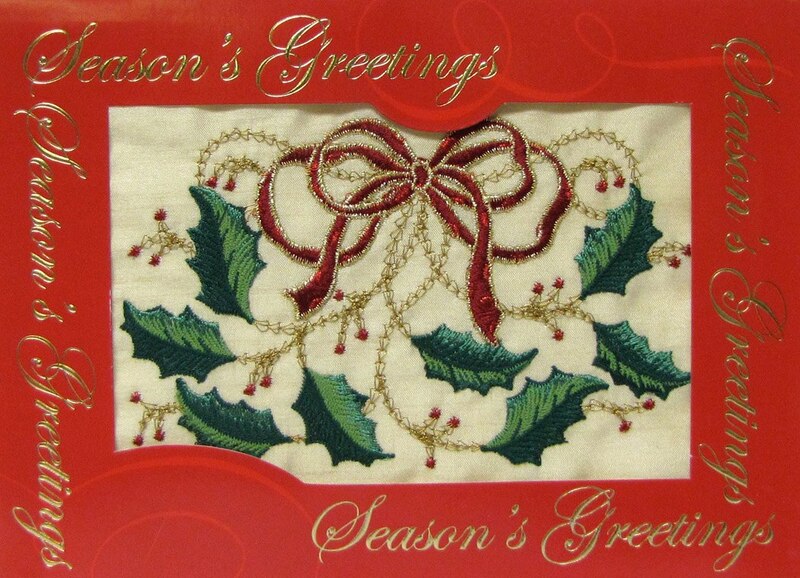 In the spirit of the Holiday Season, we extend to you our sincere appreciation for your business. May the New Year bring Health, Happiness and Prosperity! Wishing all a safe, happy holiday season and a prosperous New Year! Stop Embroidery Stitches from Getting Lost! With fall firmly here in front of us and winter right around the corner, embroidery jobs on fleece and similar high profile materials will likely rise. Make sure your embroidery looks great and really "pops" by making sure to use a water soluble topping! 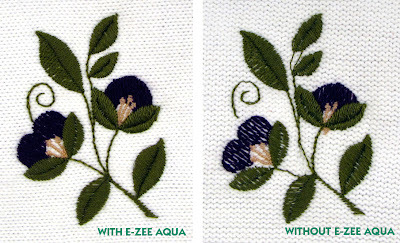 When embroidering onto a high profile fabric (fleece, sweaters, terry cloth...), be sure to use a water soluble topping, such as Madeira's E-Zee Aqua® Supreme. A water soluble topping prevents the stitches from sinking into the pile and getting lost. 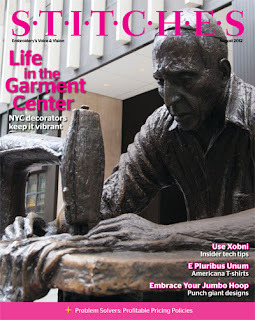 When used on intricate designs, it is extremely effective in “elevating” the stitches and enhancing the detail. The image on the left uses E-Zee Aqua on fleece. Notice the clear details in the lettering on the bottom. The image on the right does not use E-Zee Aqua and some of the embroidery is lost in the nap of the fleece fabric. Used on top of a high profile fabric, such as fleece, the topping holds down the fabrics nap, or pile, while embroidering. On sweaters, fleece, corduroy, and other soft knits, it stops the stitches from sinking into the pile and getting lost. Use a pre-cut piece of E-Zee Aqua® Supreme topping or cut off a piece from a roll to fit your hoop size. 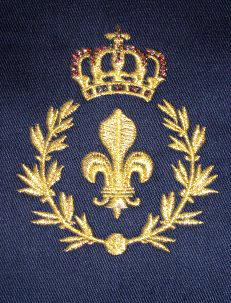 Hoop by placing on top of the garment, or you may simply lay a piece on top prior to embroidering the design (using tape to hold it in place may be necessary). Embroider the design and remove the embroidered item from the hoop. Tear off the excess topping and wad it into a ball. Using a steamer or spray bottle with water, moisten any left over pieces of topping on the design, giving it time to become tacky. Moisten one side of the excess ball of topping until it is tacky (you may need to add more topping to make the ball big enough to work with). Finish by using the "bubble gum method to remove the left over pieces of topping on the design by dabbing at them with the tacky side of the ball of topping. For additional information on using our E-Zee Aqua topping, please visit our T.H. Reads instructional sheet here. Additional T.H. Read instructional sheets can be found here. We admit it. 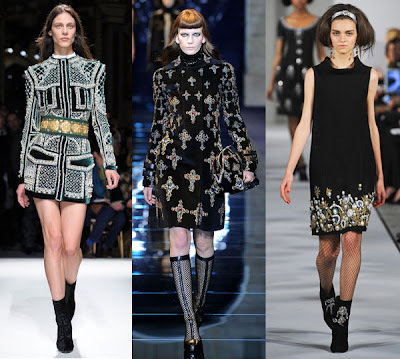 Autumn/Winter fashions are some of our favorites. It likely stems from the return to cooler temperatures which calls for heavier and luxe fabrics such as wool and velvet - perfect for embellishing with embroidery and it looks like we're not the only ones who think this. This season, we see many designers also embraced this thought and it was reflected in their collections. Did you happen to read the June issue of Printwear magazine? 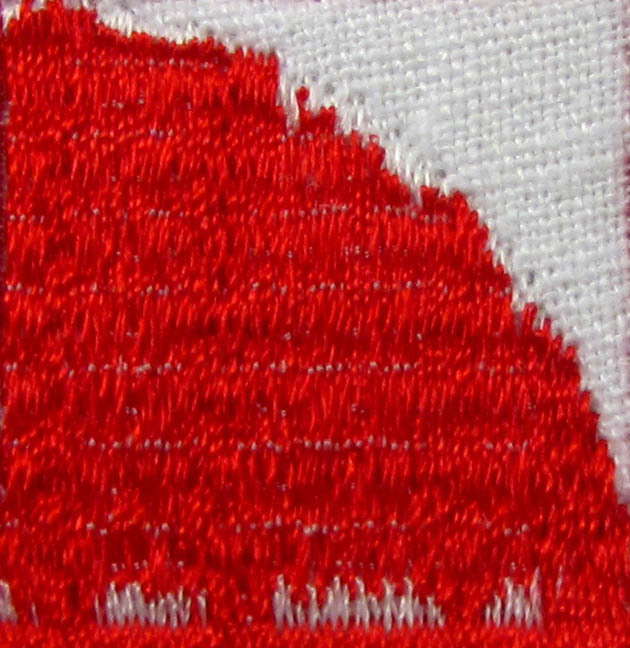 If you work with performance wear, or if you are afraid to take on this challenging fabric, we recommend that you read this article: "Six Tips for Stitching on Stretch". Written by our own product specialist Nancy Mini and award-winning digitizer Pat Williams, they troubleshoot how to embroider on this popular fabric the correct way! Visit http://read.uberflip.com/i/69552 and turn to page 78 (page 72 if you're reading from the physical magazine) to read the full article. Don't Be Afraid to Incorporate Metallics Into Your Embroidery Designs! 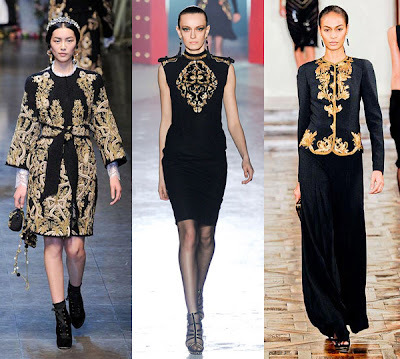 In the vast sea of embroidery that only uses a 40 weight Rayon or Polyester thread, an easy way to stand out from the crowd is to incorporate metallic threads into your embroidery repertoire. 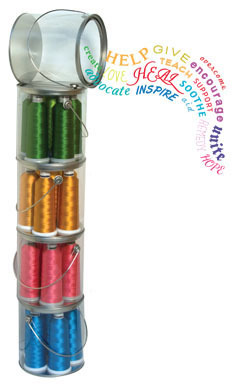 A good introductory metallic thread would be a 50 weight, such as our FS #50. Pat Williams used FS #50 Gold 3 and FS #40 Astro - to achieve her elegant "Fit for a King" design. The "FS" in our FS metallic stands for "fine silver", referring to its actual metallic content. A thin metallic thread, FS #50, is the easiest to run, and often can be substituted in a design digitized for a 40 weight thread. It is capable of impressive shading and can produce letters down to 4mm high - perfect for small lettering on logos, fine monograms and filigree embroidery. 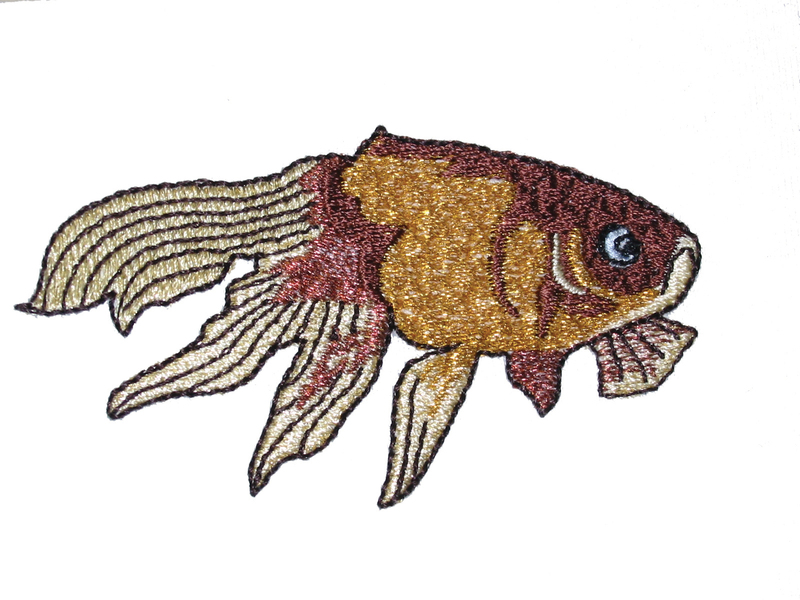 "Gold Fish" created using FS #50 and Classic Rayon #40 by Rich Medcraft, a digitizer in Washington. If you're new to running metallic threads, start with our FS #50 and incorporate it into any design that's been digitized for 40 weight. For FS #50, we recommend using a #75/11 large eye needle, although you may also use a #75/11 standard eye needle if you'd prefer. 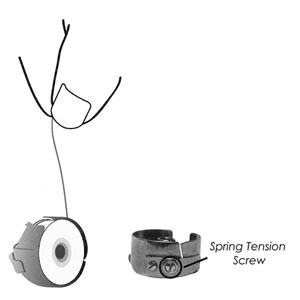 Reduce the tension on your machine slightly and drop the speed down to 600-650spm. Avoid designs with lots of small detail. To learn more about running our FS #50 embroidery thread, feel free to request a FS #50 Recipe Card. 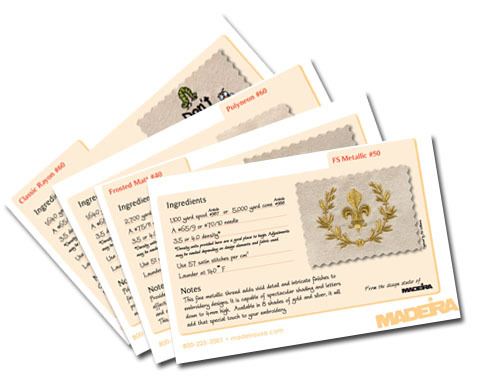 Madeira's 22 Specialty Thread Recipe Cards will be released throughout the year. Click here for additional information. If you didn't already know about our Frosted Matt 40 weight thread, it's the only truly matte finish polyester embroidery thread on the market. It contains a ceramic ingredient that provides extreme color fastness, making it extremely resistant to fading from sunlight. Its matte finish gives embroidery enhanced clarity, making it great for fine lettering and details. Also works well with shading and tone on tone affects. Being a polyester thread, it can withstand commercial laundering. Frosted Matt is a #40 weight thread, but slightly thinner than a normal #40 weight so it is recommended when filling in large areas that you adjust the density. For best results digitizing for Frosted Matt, set the punch parameter to 3.5 or .35 to maximum 4.0 or .40 stitch density. A #65/9 or #75/11 needle is recommended. To learn more about Frosted Matt, please check out our latest video.